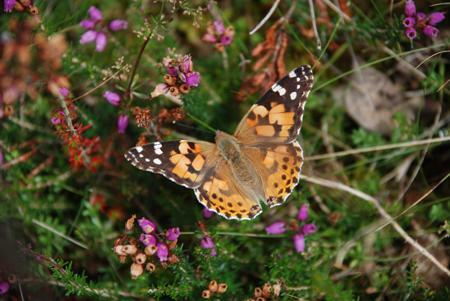 Walking through the Dry Heath, I took the above photo of a Painted Lady butterfly resting on one of the many patches of purple Bell heather currently in flower there. Native to dry heathland, Bell heather is an evergreen shrub that is attractive to a wide range of insects, including bees and butterflies. 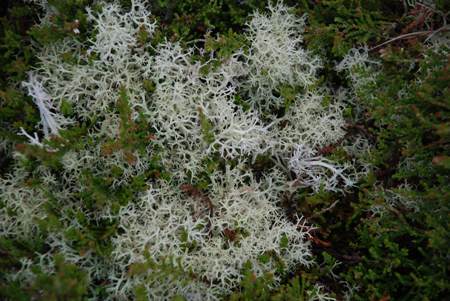 Growing in spongy tufts between the swathes of colourful heather is bushy lichen. 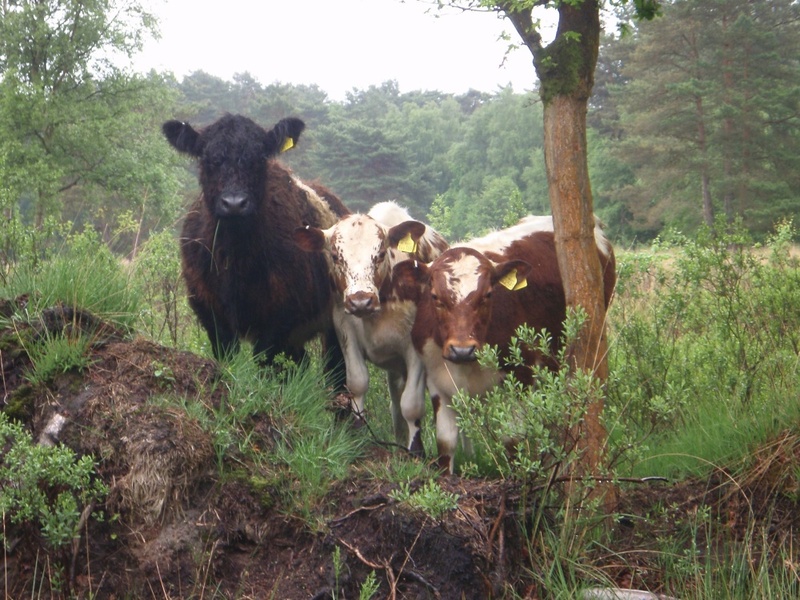 Commonly found in drier areas of heathland, the pale green stems make a stark contrast to the rich colours of the surrounding heather. 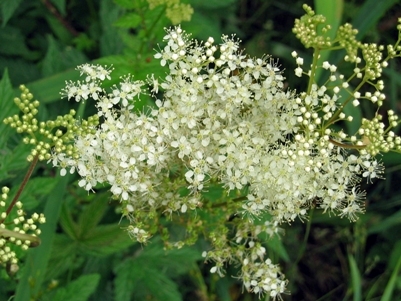 The foamy flowers of Meadowsweet are currently on display at the edge of the pond alongside the station car park. 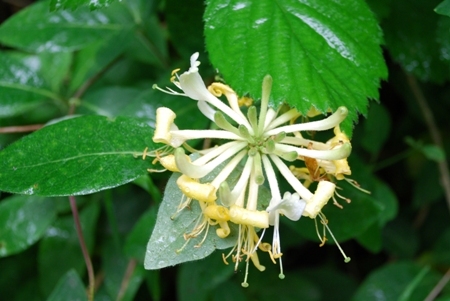 A member of the rose family; the creamy white clusters of flowers have a strong, almond-like fragrance and were once used to sweeten honey wine. 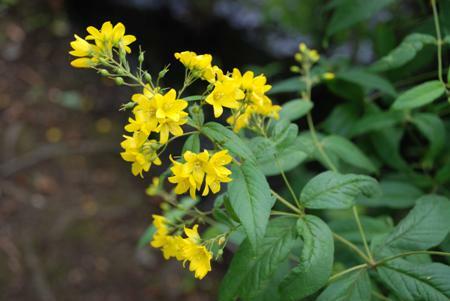 There are always plenty of wildflowers to be found along the stretch of footpath parallel to the railway line, and the golden flowers of Yellow loosestrife are presently adding splashes of colour to the water’s edge. Found in moist habitats such as marshes, fens and stream sides, the spikes of yellow flowers provide a plentiful supply of pollen for bees. 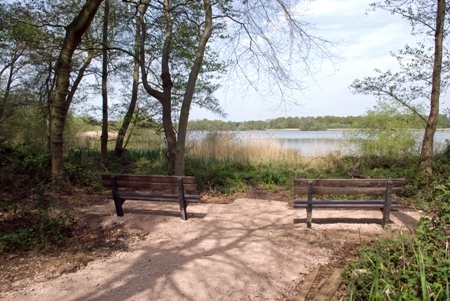 Fleet Pond blog was started on 23 July 2008, so now it’s time to celebrate running for one year! Many thanks to all our contributors and readers for making the blog such a big success. 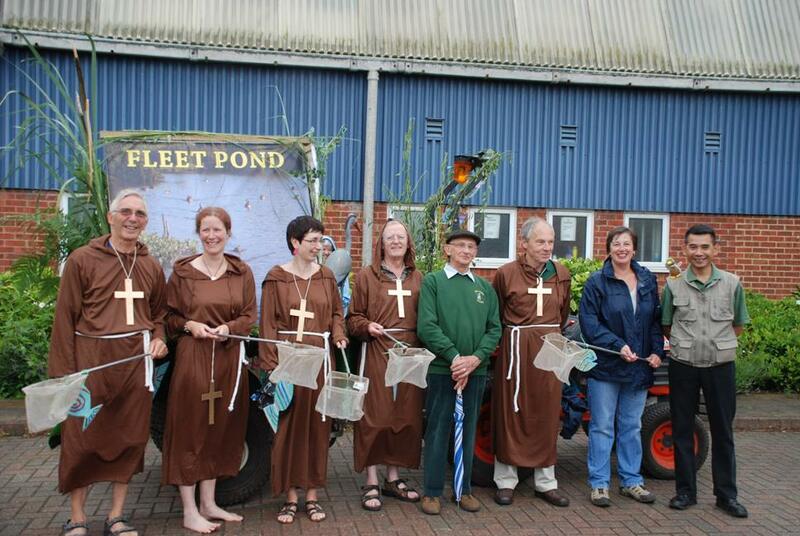 At the start of June we committed ourselves to enter a Fleet Pond Society float into the Fleet Carnival Parade. The theme was “Food, Glorious Food” and we quickly linked this to Fleet Pond’s history as the provider of fish to the monks of Winchester in the Middle Ages. This would involve us dressing as monks. Were we to be monks or friars? Monks, of course, but friars provided the alliterative heading to this blog. That was the easy bit done, but how to make it happen? Beth would make and paint some brightly-coloured fish and Mandy would acquire the monk costumes. Terry, Nick and Geoff built the float. A very sturdy A-frame was built to fit it to the trailer and Nick spent many hours trying to restore a couple of very old four foot square paintings of the pond only to have his efforts rejected whilst he was away on holiday! 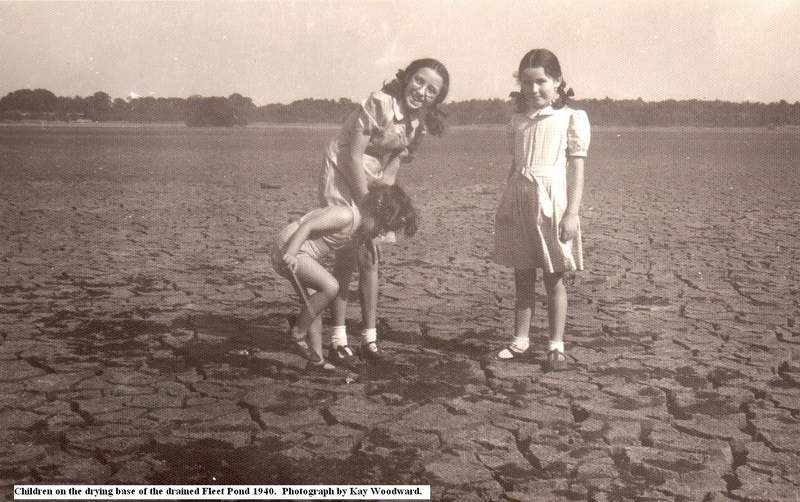 Decades of grime had left them looking rather drab even after cleaning and varnishing, so two of Colin’s photographs of the pond were made into four foot square posters, which should also be useful for future promotional events. These posters were generously provided at less than half price by Colin Povey of A Team printers. Colin got another poster (with another generous 17% discount from Fuji) explaining the Pond/monks connection, just so as to ruin any rear-view vision the tractor driver might have had. Emails soon promoted us to being a sub-committee. Perhaps we should have been a sub-cloister, as we would not be senior enough to be a sub-conclave. The day before the Carnival, Terry, Colin, Nick and Geoff met up to decorate the float with appropriate foliage. Terry, our tractor driver, took the completed float for a test run and mastered the art of reversing in a matter of seconds. 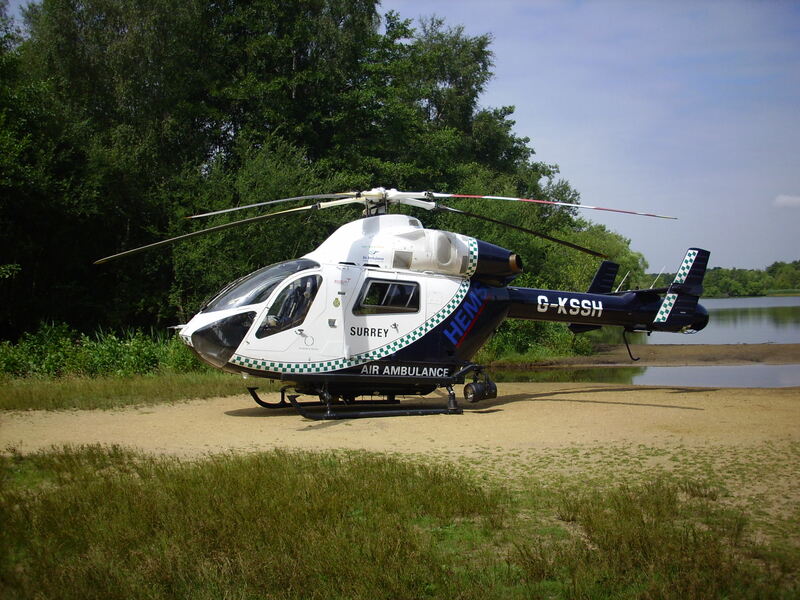 He was probably helped by his past military flying career, when it helped to approach from an angle that nobody expected. Carnival day arrived and Beth’s colourful fishes provided the finishing touch. More volunteers turned up to help collect donations and hand out sweets to the watching children. 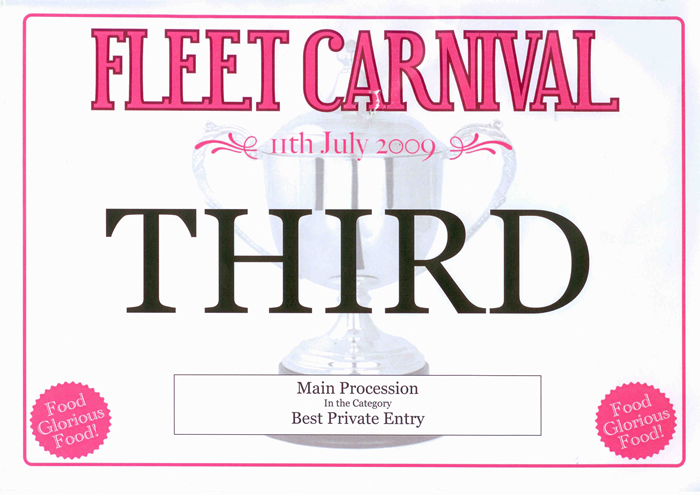 We were also pleased to find that, despite being a very small float surrounded by very large lorries, we had won third prize in the Private Entry Section. Off we set in the Carnival parade, and when we had a spare moment we were already working out our plans for next year’s float. The drizzly rain held off until we were approaching the Views, where the parade ended. 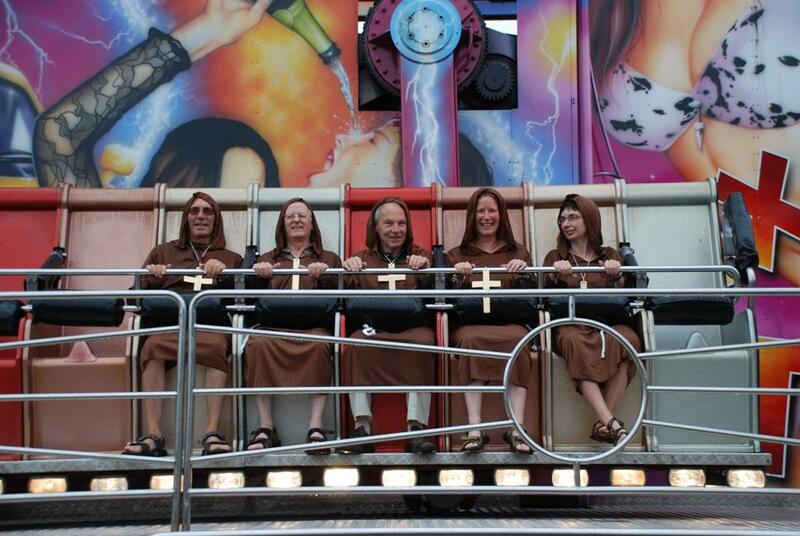 Mindful that the Carnival sub-cloister had not actually had a synod the five monks headed for one of the fairground rides, which hurled us up into the air and was not really ideal for a meeting. 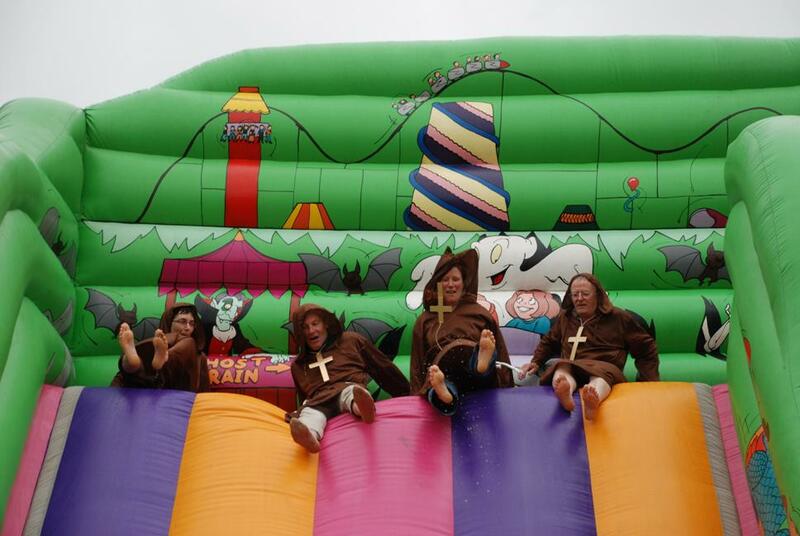 Finally four of the monks got soaked going down a rather high kiddies’ slide. Terry had the job of taking the tractor and trailer back to the workshop and that was the end of our Carnival, apart from dismantling the float next morning. Beth, Geoff, Mandy, Nick, Terry were the famous five. 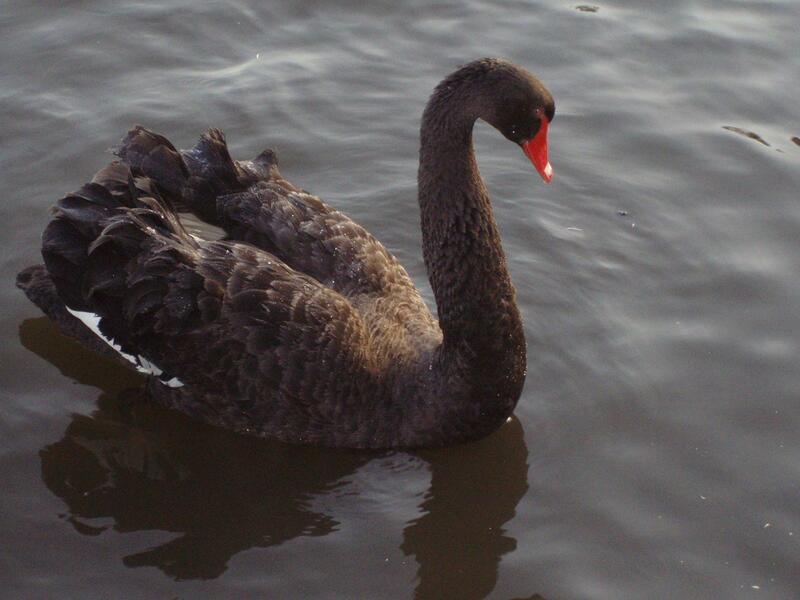 Photo credits: Michelle Salter and Colin Gray. 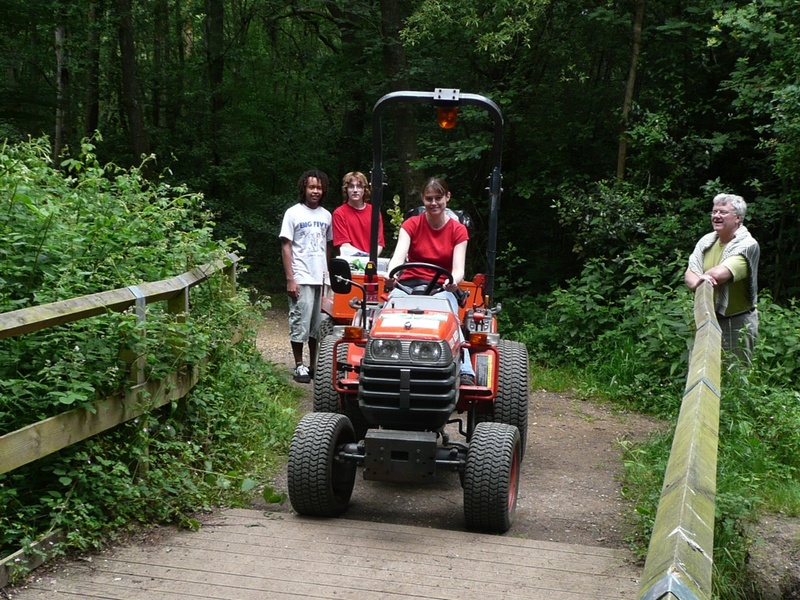 Volunteer Event 14 June – Improving Paths and Rails! 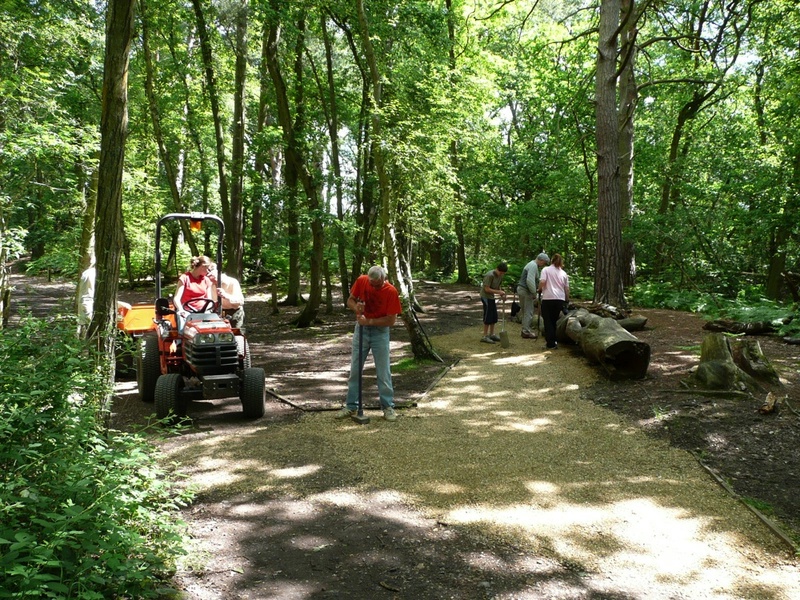 There were two main tasks for this volunteer event – moving excess gravel from one pathway section to another (this was a follow-on to the recent volunteer event with O2) and repairing fence rails north of the picnic site (see photos above and below). 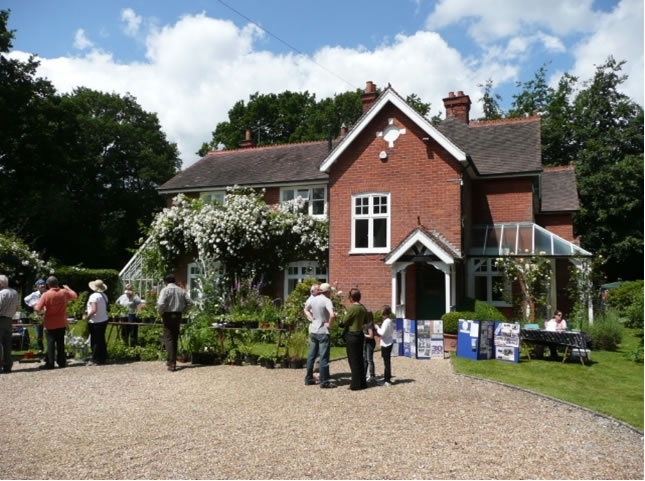 Once again there was a very good turn-out and the weather was excellent – a really invigorating and satisfying way to spend a beautiful Sunday morning! 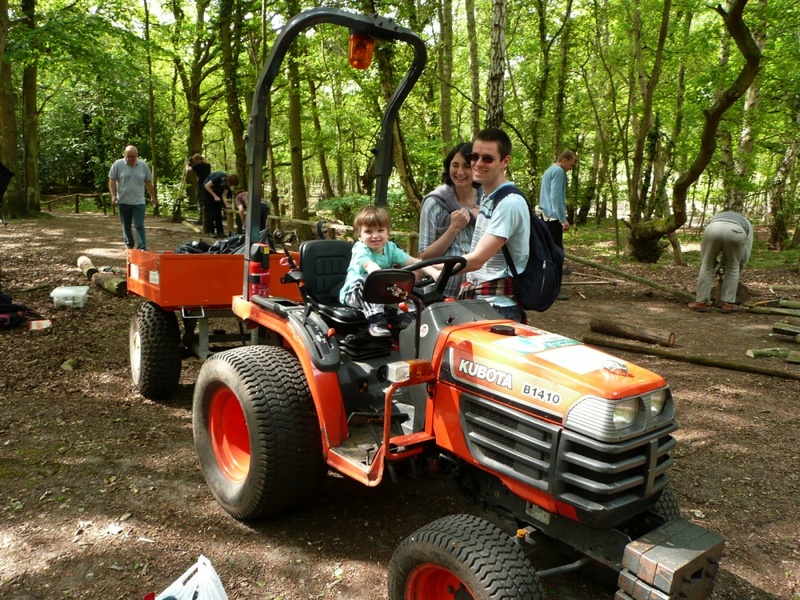 As you can imagine, the tractor was invaluable in transporting the heavy loads around as well as helping flatten the gravel! 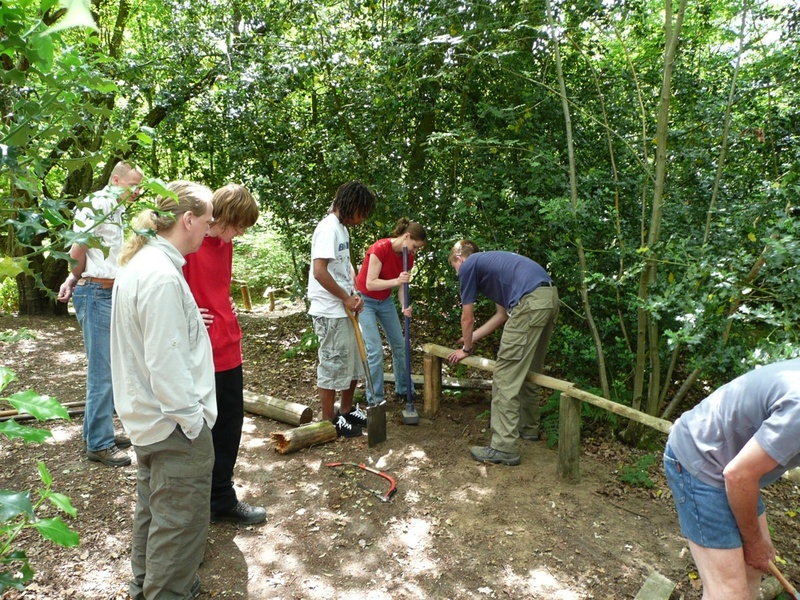 This event is the last one for the summer – there will be a break of 2 months with Sunday volunteering starting again in September. 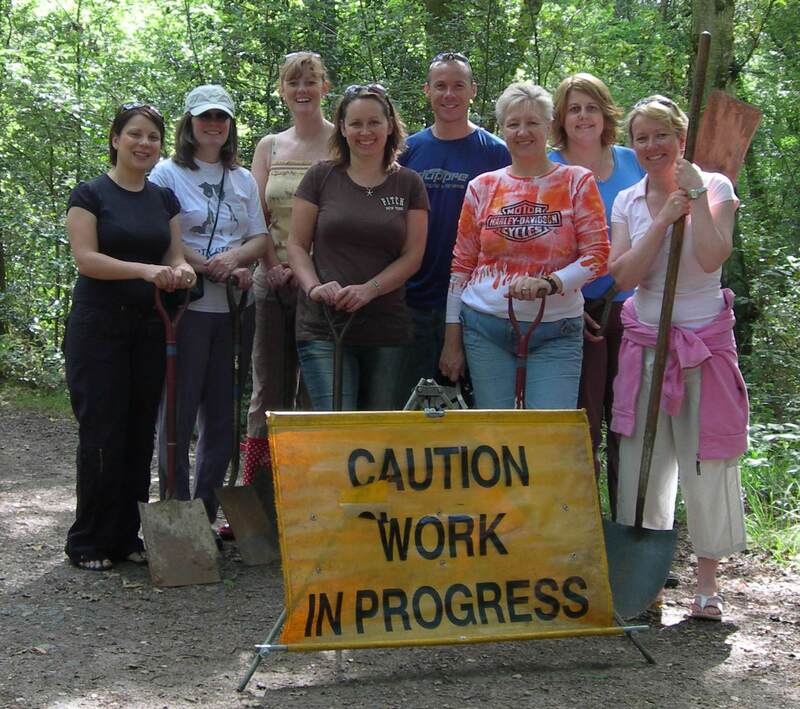 A volunteer event schedule for 2009 – 10 will appear shortly on this blog. 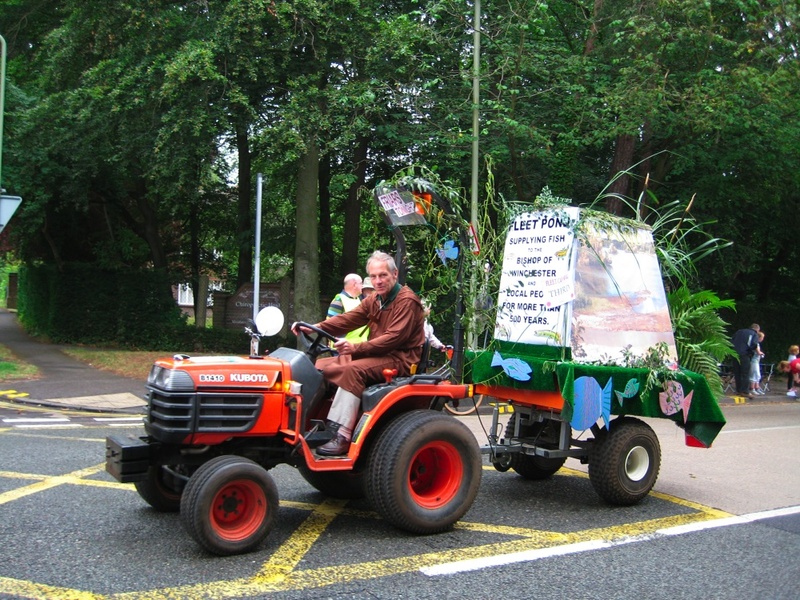 Fleet Pond Society will have a float in this Saturday’s Main Procession which starts at 15:00 (part of Fleet Carnival 2009). 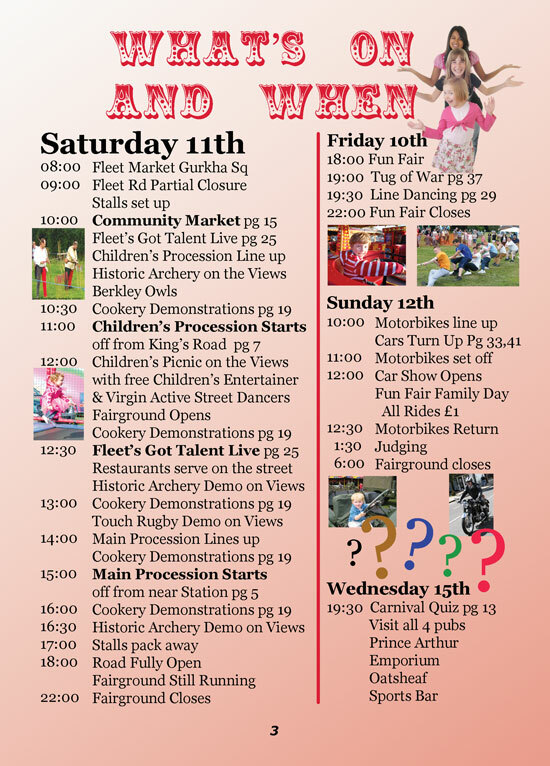 Further information on the Carnival can be found on the web site and on Facebook. 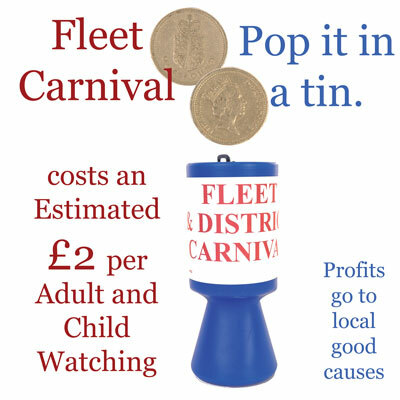 If you have some time and would like to be involved by following the float to collect money from the crowds and hand out sweets to the kids, please contact Colin Gray on 01252 616183. This is a community event, so it can be used to top up hours on Duke of Edinburgh or Trident schemes! 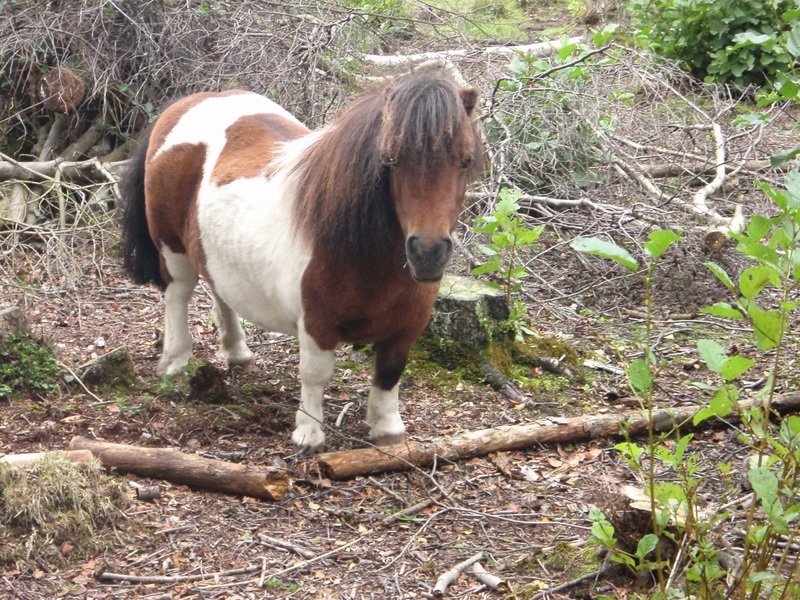 You are currently browsing the Fleet Pond Blog blog archives for July, 2009.